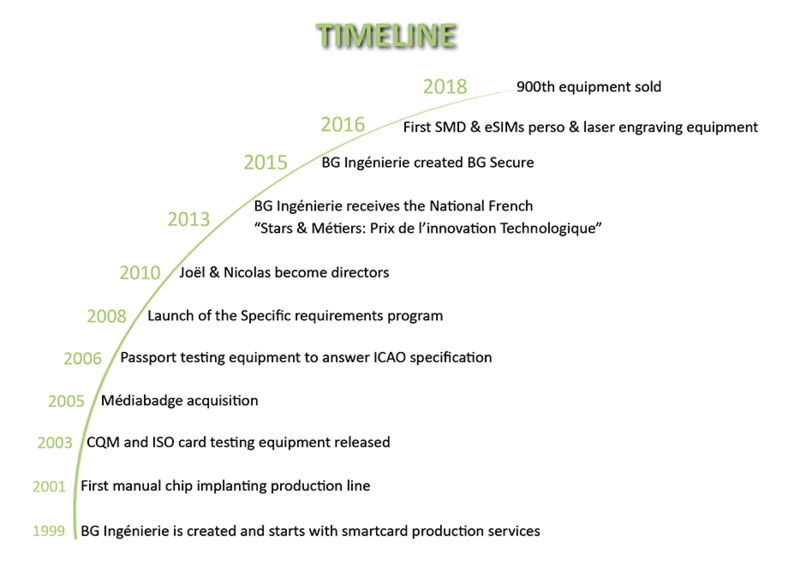 BG INGENIERIE is a privatly owned family run company, created in 1999 by Guy BESNIER (working in card business since 1984), with the aim to develop small and medium solutions for card manufacturing. BG INGENIERIE proudly won in 2013 the National French Stars & Métiers “Prix de l’innovation technologique”, thanks to a specific development made for a customer. Today, BG INGENIERIE has a worldwide recognition through BGI equipment installed in more than 60 countries. Through the years BG INGENIERIE has increased its activities with the aim to propose the best service as possible to its customers.